If you were injured or lost a loved one in an 18-wheeler truck accident in Miami or anywhere in Florida, then you should call the 18-wheeler truck accident lawyers at the Wolfson Law Firm. Our Miami accident attorneys are available to help anyone affected by a trucking accident in Florida. We offer free consultations and we never charge a fee unless we make a recovery for you and your family. Call us anytime at (305) 285-1115 or toll-free at (855) 982-2067. All 18-wheeler truck accident investigations begin with the driver. The driver of an 18-wheeler tractor-trailer is often the central figure in the middle of an accident investigation. 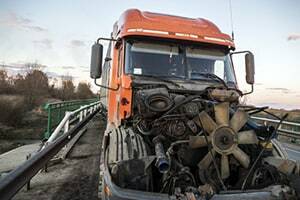 Truck accident attorneys will often commit a significant portion of their examination of the evidence to the owner and operator of the 18-wheeler truck who injured or killed their client. Of course, the driver is only part of a comprehensive and complete investigation. But, it is often one of the most important parts of the analysis and evaluation of evidence before trial. At the Wolfson Law Firm, our Miami 18-wheeler accident attorneys have advocated for 18-wheeler accident victims in Florida for over 50 years. We are ready to help you because we know what to do. 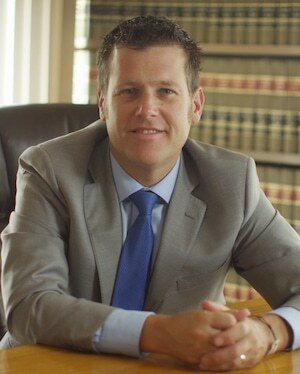 Our managing trial attorney, Jonah Wolfson, is a bilingual 18-wheeler truck accident attorney and wrongful death lawyer in Miami. Call now for a free consultation. Our Miami 18-wheeler accident lawyers serve the folks of Miami and South Florida as well as any victim hurt in a 18-wheeler truck crash in Miami-Dade County, Key Largo, Broward County, Islamorada, Palm Beach County, Key West, Hialeah, Medley, Homestead, Tavernier, Port Everglades, Homestead, Florida City, Princeton, Port of Miami, Fort Lauderdale, Port of Palm Beach, Orlando, Miami International Airport, Jacksonville, West Palm Beach, Tampa and Orlando.